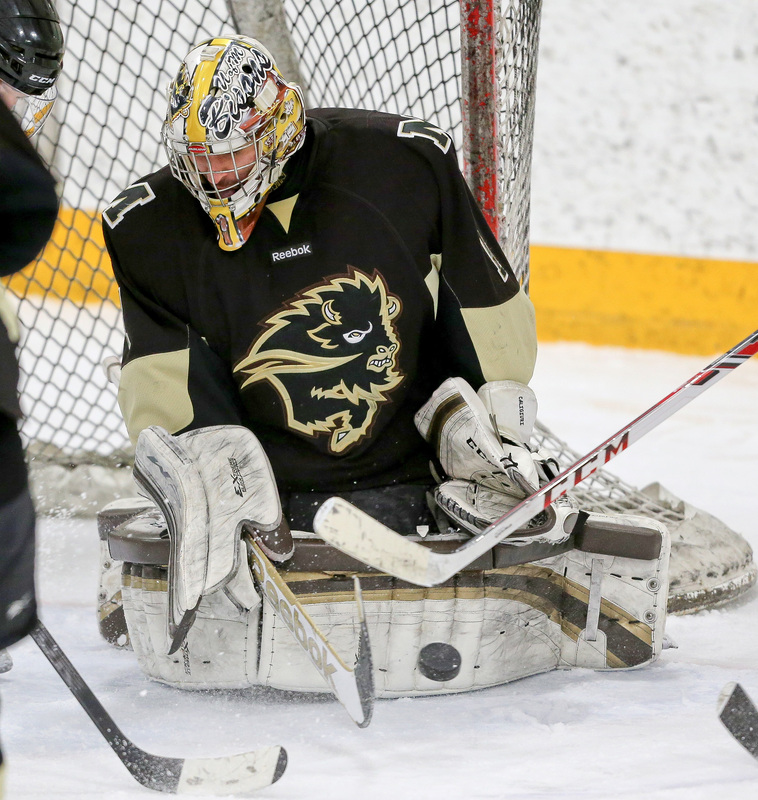 Last week, the University of Manitoba men’s hockey team traveled to Regina in search of some wins to snap their four-game losing streak. They did just that, thumping the Regina Cougars 6-2. In the rematch on Friday, the Bisons came away with another two points as they beat the Cougars 5-3. Captain Jordan DePape had a stellar weekend, racking up five points in two games. He extended his point streak to 11 games, currently the longest in the Canada West. DePape is now tied for first in the Canada West in scoring, with 24 points in 16 games. DePape’s linemate Brett Stovin also had a good weekend offensively, scoring three goals in the pair of games. He now has registered at least a point in his last nine games. Stovin is tied for third in scoring among rookies, and looks to be adjusting to the Canada West well. The Bisons played well offensively in the two game set against Regina, combining for 11 goals on the weekend. Manitoba scored four unanswered goals in the second and third periods of Thursday’s contest to put the Cougars away. The Bisons also converted on two of their five power play chances. On Friday, the game was a little closer, as the herd allowed Regina back into the game in the third period, but a Zach Waldvogel empty net goal with 44 seconds remaining sealed the win for the Bisons. Manitoba is now 7-7-2 on the year and is sitting fifth in the Canada West Conference, three points behind British Columbia. They are riding a two-game winning streak heading into 2016.